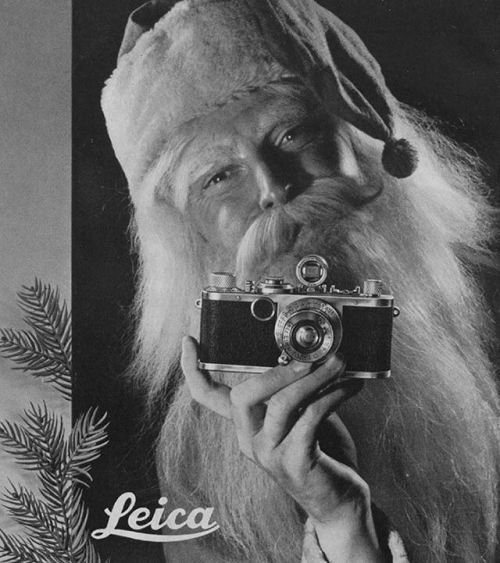 2018 is the year when Leicaphilia took on a decidedly philosophical bent, for no other reason than you can only say so much about the cameras themselves without repeating yourself. What does this have to do with photography? More than you think. Arthur Schopenhauer, who I’ve wrote of elsewhere, considered music the only art capable of expressing the truth of being itself. Visual arts like photography were two removes from ultimate reality, as they were at best a representation of a representation. Music, being formless and non-representational, directly accessed the reality of being by bypassing the intellect and appealing directly to your “will”, which for Schopenhauer was the ultimate real thing that moved you and the heavens and the earth. So, go listen to each of them while nursing a glass of bourbon (no need for an expensive bottle, just a decent no frills traditional bourbon like Four Roses, Makers Mark …or Rebel Yell if you’re seriously short on cash). Whatever you do, do not put ice in your bourbon (I cannot repeat this enough). Bourbon in hand, Dexter Gordon blasting from your speakers, enjoy a bit of Dionysian revelry on this the most Apollonian of Western holidays. This entry was posted in Uncategorized on December 23, 2018 by Leicaphila. Thanks Tim, just listening to Night Dreamer, but not drinking, or smoking, can’t take it anymore. Don’t know much about Schopenhauer, but he got it right about music, it comes straight from the heart. I am not sold on the Bourbon I am more of a Cognac kind of guy, thanks for all the great philosophical thoughts and thank you for having such a medium to contemplate and talk about our photographic pursuits. what is your Address in the US I would like to send you a copy of my self published book called A year with the Leica M3. In my opinion, jazz in particular and western popular culture in general reached a zenith in the late 1950’s thru early 1960’s from which we have been retreating ever since. I totally agree. In Leica world we had the M2/3/4, in jazz the great Coltrane quartets, Rollins, Gordon, Shorter, Bill Evans, Miles Davis’ bebop quartets with Coltrane, then the modal era with Shorter. Brilliant, iconic cameras, brilliant music. In photography you have Frank, then Friedlander, Winogrand, Kouldelka, etc. Something clearly was in the air. Good wishes to you and all the readership ! Thank you for writing… and keeping up the ever-engaging thoughts. It’s all here and now; enjoy. Merry christmas and all the best for 2018 to you! Enjoy, particularly, Chuck Berry’s Sweet Little Sixteen, and watch the jazz miracles give him the supercilious number except for the drums and clarinet, the latter having the grace to do a New Orleans-style impro. segment with him. Chuck was only there because of a contract that the organizers couldn’t break. I was delighted about that. The cute blonde and her guy jiving to Berry are also so sweetly evocative of those golden years I miss so much. I saw that movie six times at the Glasgow art cinema, The Cosmo. To my amusement, I read in Keef’s biography that he, too, saw it six times, if clearly not in Glasgow. When I started developing b/w film three or four years ago, I started a ritual which consists of playing Chet Baker or Coltrane in the background; I don’t change them for the sake of consistency, and thus, now I associate this music to film developing. Funnily enough, my 7 years old kid sometimes comes to the kitchen to help me developing (by controlling time) when he detects some jazz is going on there.